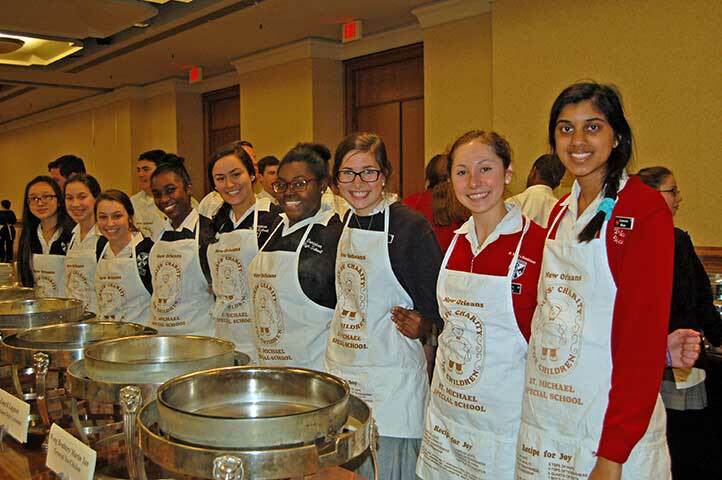 St. Mary’s Dominican High School Veritas Volunteers Club members serving at the annual Chefs’ Charity (from left), Yasmeen Khan (Kenner), Jillian Sandoz (Metairie), Peyton Wray (New Orleans), Abigail Morici (New Orleans), Hannah Nguyen (New Orleans), Gabrielle Nguyen (Harvey), Madison Miller (New Orleans), Sofia Rodriguez (New Orleans), and Brogan Hausknecht (Kenner). 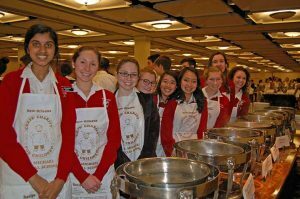 St. Mary’s Dominican High School Veritas Volunteers were volunteer servers at the annual Chefs’ Charity for Children to benefit St. Michael’s Special School. Celebrity chefs conducted cooking demonstrations and benefit attendees enjoyed their culinary creations. Veritas Volunteers lead moderator is Dione Prince and Dawn Frick is moderator. St. Mary’s Dominican High School Veritas Volunteers Club members serving at the annual Chefs’ Charity for Children to benefit St. Michael Special School (from left), Ann Pham (Bridge City), Isabelle Giardina (Metairie), Alexis Rodrigue (Bridge City), Alexis Stackhouse (Avondale), Hailey Morris (Kenner), Alison Dupre’ (Westwego), Molly Derbes (Metairie), Jillian Sandoz (Metairie), and Yasmeen Khan (Kenner).